We carry a lot of gun accessories and gun holsters and we are always eager to hear back from our customers about which products they like the most. We have trimmed our inventory several times after getting feedback and reviews from our customers and we are very happy with the products we are selling. Firearms are much better made than even just 20yrs ago due to superior technological changes in the production and manufacturing of synthetic materials and product consistancy. Many rifle scopes and tactical optics are being made with etched glass and not mounted. This has a huge impace on the life and durability of an optic. I remember the tactical scopes I saw at gun shows in the 1990’s that cost $40. I have since broken every optic that ever was mounted on a firearm that cost under $150. I guess I do more shooting that the average gun guy, but why waste the money inexpensive tactical gear or rifle optics. A good hunting scope can be had in the $200 price range and there isn’t always a need to have to spend a grand or more. Get good Leupold rifle scope mounts and use loctite to on the screws for added reliability. If you are looking for tactical gear or a tactical rifle scope, then you’re really going to have to cough up the money and spend the cash. 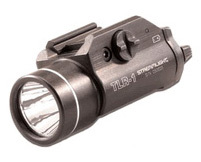 There are many applications for tactical rifle optics, zero magnification like the Eotech combat optic, or low magnification with a added magnifier on your Eotech or go with low magnification medium range optics like the Trijicon ACOG. Long range shooting means finding the right reticle that applies to the type of shooting you want to do.